Are you getting less-than-perfect eggs from your layer hens? Use these easy fixes to remedy the situation. 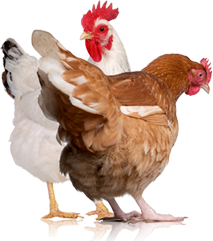 Chickens are often referred to as the gateway livestock because they are easier to keep than most other farm animals and can be house on properties of varying sizes, from smaller suburban backyards to acres-large plots of land where the birds are free to roam. Plus, the steady supplies of orange-yolked eggs can’t be beat! However, as with most things in farm life, chicken keeping isn’t always as picturesque as it seems, and those eggs, well, they often come out as less-than-perfect. 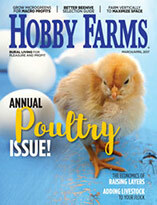 If your goal is to get the best eggs possible to feed to your family or to sell at market, overcome layer-hen hurdles with these tips. 1. Problem: Chickens play hide-and-seek with their eggs. Prevention: Despite your efforts to provide your hens a comfy bedded nest box where they can lay in peace, some of the girls are dead-set on sending you on an egg hunt around the farm for your breakfast. To keep from having to retrieve your eggs from under a thorny bush every morning, confine the hens completely or until later in the day. You can also put artificial “dummy” eggs, such as a plastic egg or golf ball, in nest boxes to teach them where to lay. 2. Problem: Scary egg-eating chickens. Prevention: Once chickens get a taste for eggs, it can often be difficult to get them to stop. There are several things you do to minimize this problem. Gather eggs promptly after the girls lay. Provide them secluded, darkened nest boxes. If you’re able to identify the egg-eating culprit, promptly remove it from flock. 3. Problem: Scary, cannibalistic chickens. Prevention: Cannibalism isn’t all that uncommon a problem in flocks, and there are several reasons a chicken might be prone to peck, including not having enough space to a salt and sulfur deficiencie. Provide your layers darkened nesting sites, and if pecking occurs apply anti-peck solution to the victim’s wounds to prevent further harassment. Read more about pecking and cannibalism prevention. Prevention: Broodiness in chickens is usually determined by genetics, so if you’re overwhelmed by broody birds, choose a less broody breed the next go-round. You can also deter brooding by not letting eggs pile up. 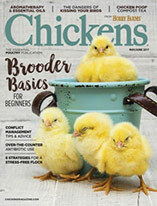 Read more about broody chickens. Prevention: Not a big surprise: Eggs don’t come out of the chicken at grocery-store cleanliness. However, you can take steps to keep your fresh eggs relatively mess-free. Pad nest boxes with clean litter so that the birds don’t lay in a pile of manure. Keep coops and runs clean, as well. Also, collect eggs frequently, so eggs don’t break, leaving you in a goopy mess. Prevention: A gradual decline of eggs is natural when the days of fall and winter get shorter. While you might decide to give your hens a break from production, it is possible to encourage their laying year-round by installing artificial lighting. However, the change of seasons isn’t the only things that could slow egg production. Stress and a poor diet could also be to blame. Make sure you’re providing your girls a balanced layer ration, reducing sources of stress and improve biosecurity to prevent disease. Also protect the coop from varmints that think they deserve the eggs more than you do! About the Author: Cherie Langlois is a former zookeeper and a freelance writer who has kept a variety of chicken breeds—and enjoyed dozens of fresh eggs!—on her Washington farm for over 17 years.